When injured on the railroad the employees proof of negligence under FELA is much different than the proximate cause standard that exists for most injury cases such as auto accident injuries. A railroad is liable in damages to its employee for any injury that is caused, in whole or in part, by any negligence on its part. The injured person must prove that the other parties actions were the proximate cause of the injuries. This is a much harder test that proving the negligence was the cause “in whole or in part”. Proximate Cause defined: The defendant’s negligence must be the sole, efficient, producing cause of the injury. Under FELA for railroaders they only have to prove that the railroad’s acts in whole or in part, even in the slightest, caused injury. A test much more relaxed than proving a defendant’s acts were the sole cause of the injury, i.e., the proximate cause. 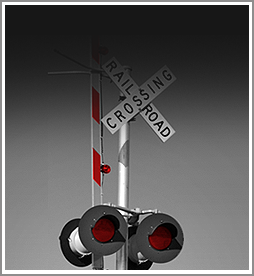 You have been furnished this information by our law firm, Wilson & Hajek, hope it helps you in understanding the difference between railroad injuries and other injuries off the railroad, such as auto accidents. The railroad is working hard to eliminate and change the test “in whole or in part” for railroad workers. We are working hard to keep that wording in order to protect workers on the railroad. Please call or e-mail us if you have any questions.